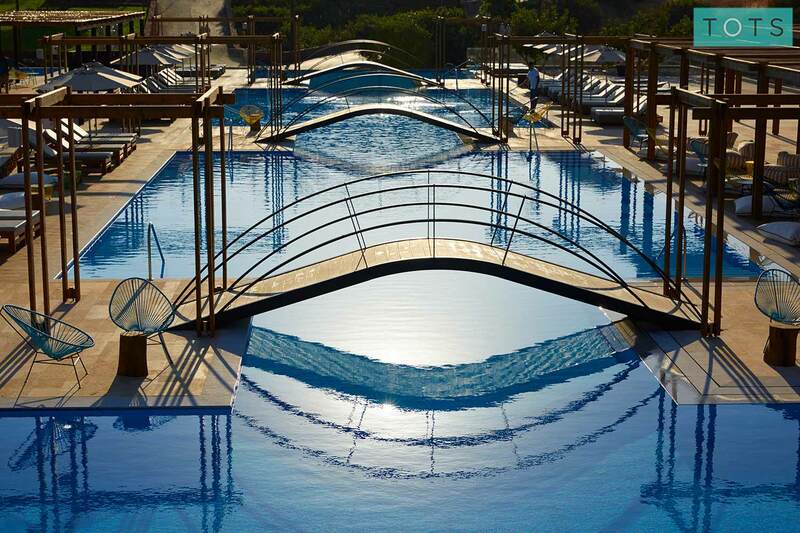 This fabulous 5* resort brings a whole new meaning to luxury family holidays. 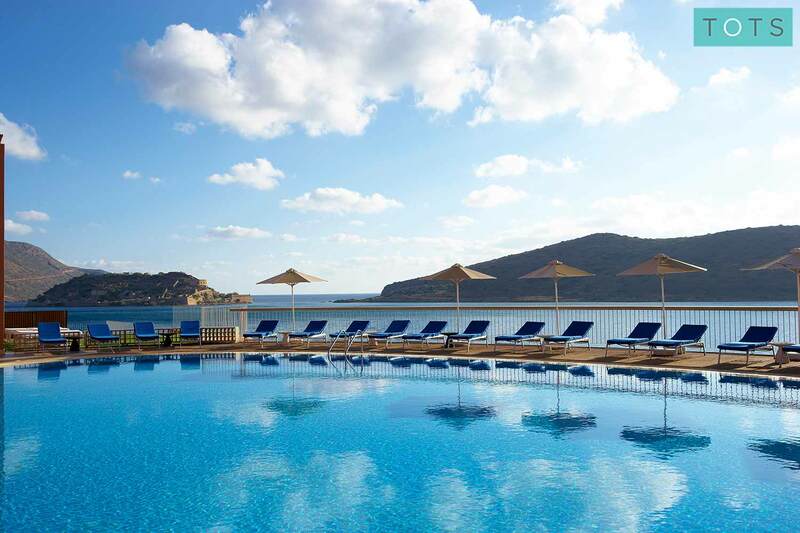 With incredible views, a private beach, kids’ club, crèche, pools, family restaurants, playground and activities, Domes of Elounda is an unmissable destination. 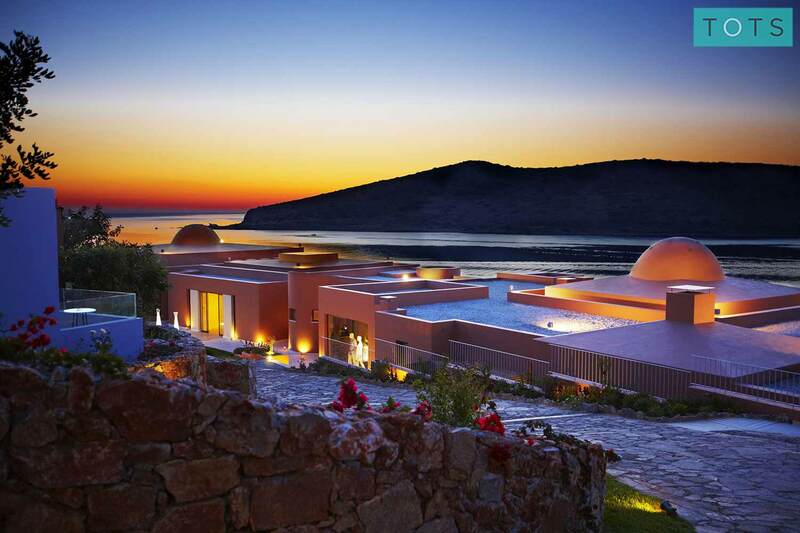 The Domes of Elounda resort was fantastic. The staff loved little ones and were accommodating above and beyond my expectations. 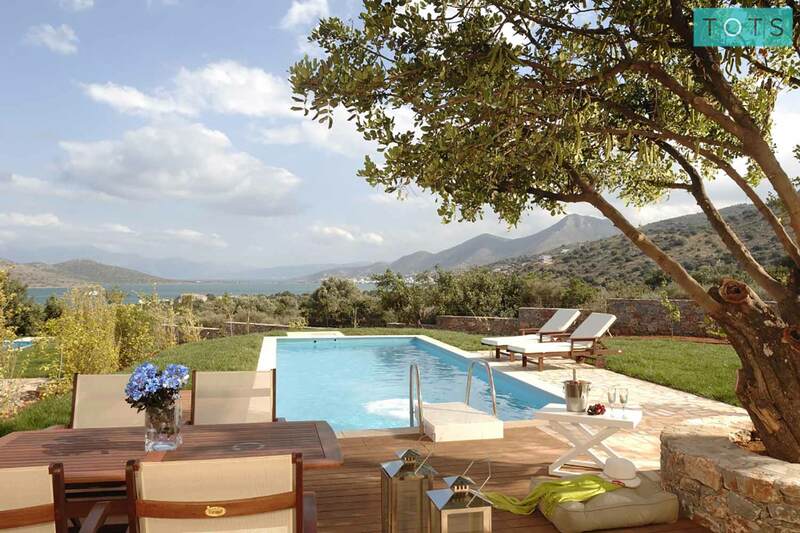 The views here are out of this world, over looking Spinalonga island and the bay. The beach was perfect for small kids as the sea is shallow and still. The only thing I think would have made this 10/10 would have been a heated pool, our toddler loves splashing around, but the swimming pools were ice cold, the sea was actually warmer. But that is really nitpicking. Overall is was an amazing holiday for all of us. Perfect hotel for parents to relax and children to feel relaxed aswell! Service was faultless, staff love children and made them feel at ease and the facilities in our suite and at the hotel were excellent. What an amazing holiday, one that will be hard to beat. The location and grounds were just stunning, the staff were excellent, so helpful and friendly. The food was outstanding and the rooms were beautiful and spotless. Thank you so much for everything! The people of Crete and at the hotel are so friendly towards children. This made the holiday so relaxing as they are welcomed wherever we went. The hotel was lovely and there was amazing food in a family friendly restaurant. Gorgeous hotel, very child friendly, staff are lovely and go out of the way to help. Brilliant holiday , excellent location and accommodation. Staff were really friendly and couldn't do enough for children . The beach was stunning. Lovely lovely hotel, very child friendly. Nicky talked me through everything beforehand and it was everything I expected. I wouldn't hesitate to book through Tots to Travel again. The hotel was so family friendly - they really went out of their way to make our experience with them a positive one. They even had a buffet of children's food in the restaurant with fun plates and cutlery. We plan to make this a place we go regularly on holiday. 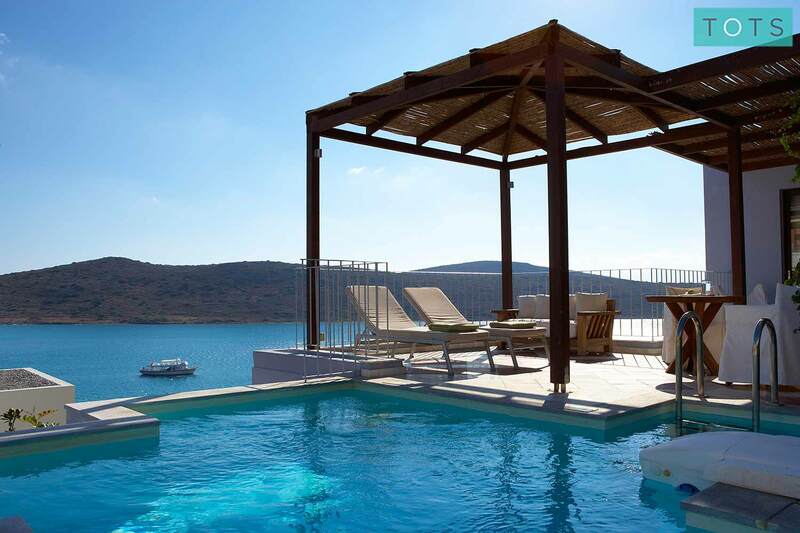 We loved our stay at Domes of Elounda it was truly a luxurious and private experience. We were made to feel extremely welcome from the moment we arrived until the morning we left and all the staff were particularly good with our two small boys. The private villa was stunning and we loved having our own pool the views and gardens were breathtaking. The food throughout the resort was really five star from the buffet which changed every night to the seafood restaurant right on the beachfront. We made use of the in villa dining on several occasions and we were really impressed with the service and attention to detail. We were lucky enough to enjoy the perks of Haute Living and this was fantastic discounts on the restaurants access to living lounge with complimentary drinks and snacks. Lovely place with right mix of luxury and accessibility. 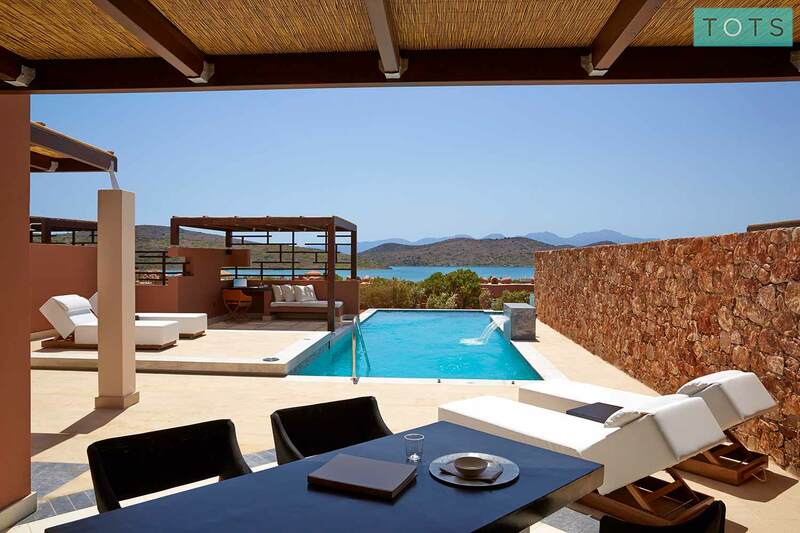 We chose the private villa set up which was perfect for us with our two young children, 2.5 and 4.5 years. Our own pool in the villa with the main pool and lovely beach gave plenty of options for change of scenery. We enjoyed taking a boat out ourselves one day and going on the boat trip another. The fish restaurant on the nearby canal (Kanali) is worth a visit. Thanks to the team there for a lovely time! 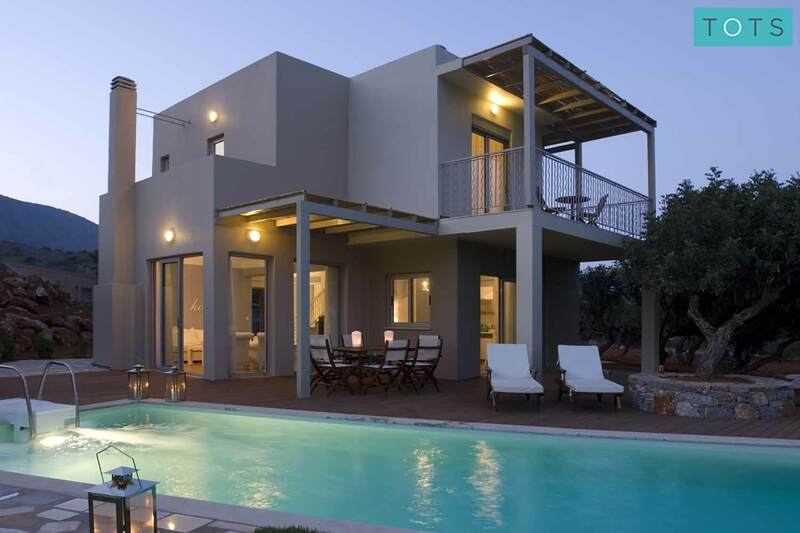 Lovely villa, perfect for the three of us, equipped with all the baby things we could need. The kitchen's very basic in terms of equipment but the room service and restaurants are good. Staff really friendly and responsive and happy to help. The pools are pretty cold for little ones (ours is just 2) and the big ones as well, would be nice for the shallow baby pool to be properly heated as, with its shade would provide a great space for little ones to play. Otherwise, come well equipped with toddler body swim suit rather than shorts/cossie. All in all a great resort and we'd go back/recommend! Lovely family friendly hotel. Selection of children's buffet at dinner time was sometimes limited but could easily be "topped up" from the general buffet selection. Quality of food very good. Nice calm beach and shallow waters for paddling for the children. Very hilly but the golf buggy service was excellent. The amenities placed in the room for children were great! The resort and room were perfect. The food selection fantastic especially the extra children's buffet. Worth advising customers as to meal times at hotel are slightly later than typical UK meal times but our daughter adjusted fine. 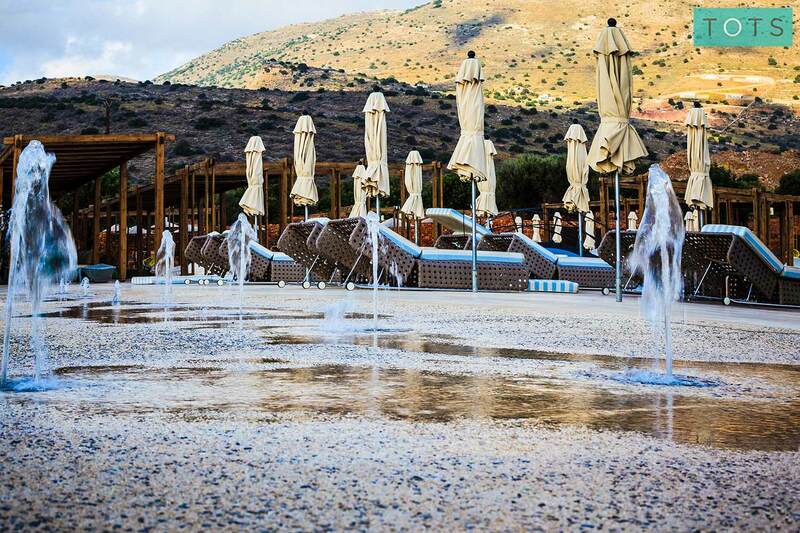 The pools are not heated, but are actually chilled so water temperature is quite cold for little ones. The beach is not sand and quite small and very popular again worth noting to customers. Your children will be spoilt for choice when it comes to activities at this super-family friendly luxury resort. With a playground, games room, kids’ club, crèche, special extras for little guests, a children’s pool and more, they probably won’t want to go back home. Suitable for children aged four months to four years, the crèche has lots of lovely activities and toys for entertaining younger tots. 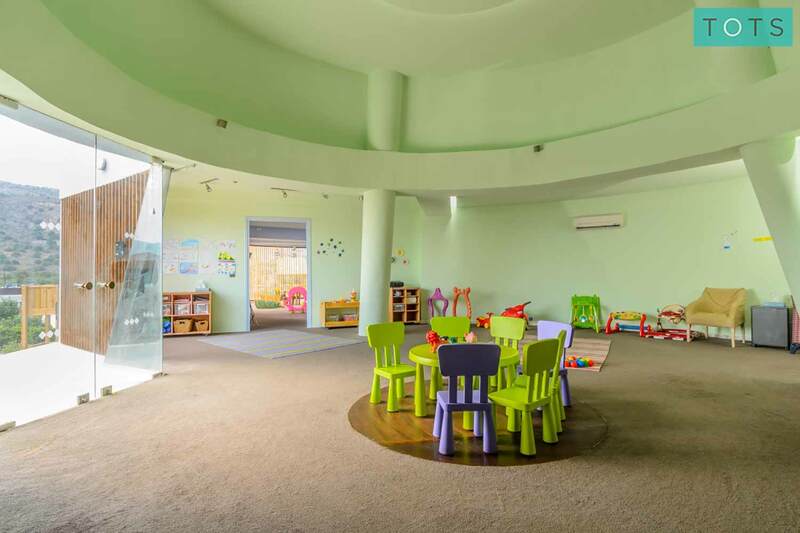 The complimentary kids’ club is suitable for children aged four up to 12 years and is free There’s a big indoor area full of toys and games, plus an outdoor activity area for sports and treasure hunts. Apart from the huge sandbox with buckets and spades that is ever popular, there is also slides, seesaws, swings and springers, and also a climbing net and baby cars. There’s a special children’s pool with a shade cover, so that little ones can enjoy having a splash without getting too much sun. The resort has a lovely children’s menu listing familiar favourite dishes, plus it can cater for specific dietary requirements. Teens and older kids will love a trip to the arcade room which is packed with games consoles, table football and pool tables. 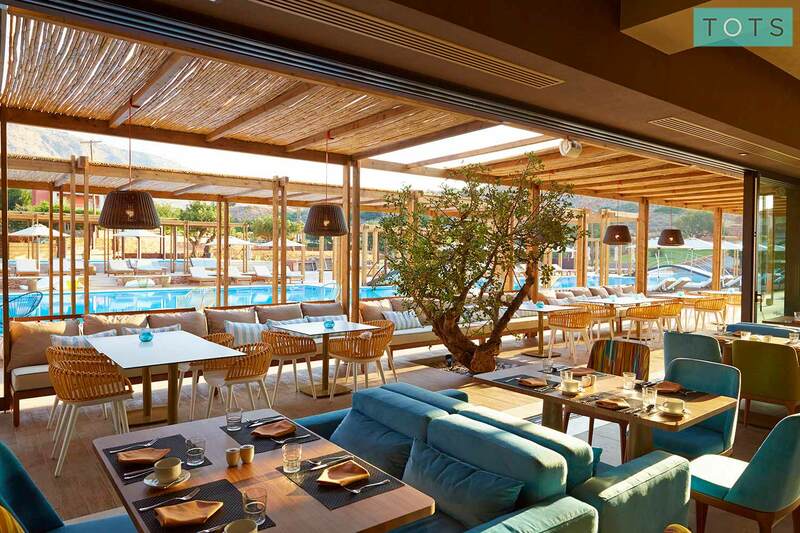 With a range of on-site restaurants, you’ll be spoilt for choice when dining at Domes of Elounda. Including special themed nights and high-quality dishes whipped up by experienced chefs, there are also plenty of measures to suit families including children’s menus, family friendly dining hours, quality baby food available and more. This lovely lobster and steak restaurant has a casual vibe and is the first of its kind to open in Greece. 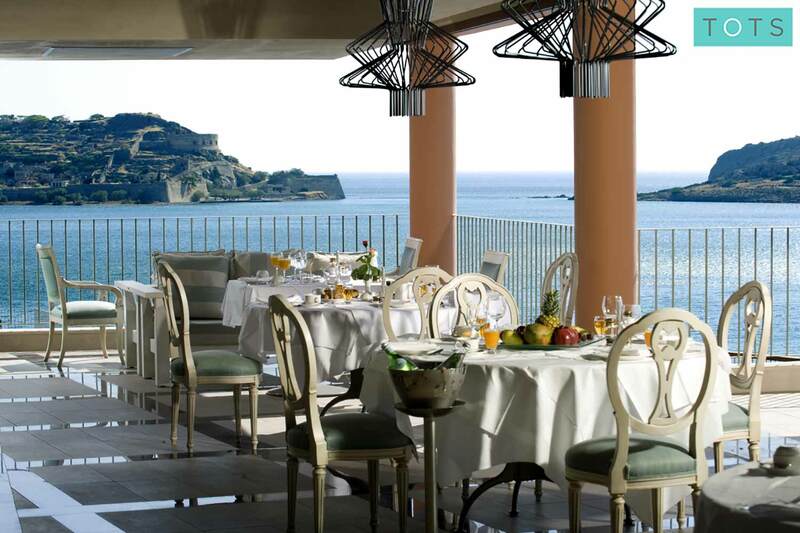 Serving breakfast and buffet dinners, the multicultural and Greek dishes on offer here are sublime, plus you can enjoy special themed nights and a daily children’s buffet. 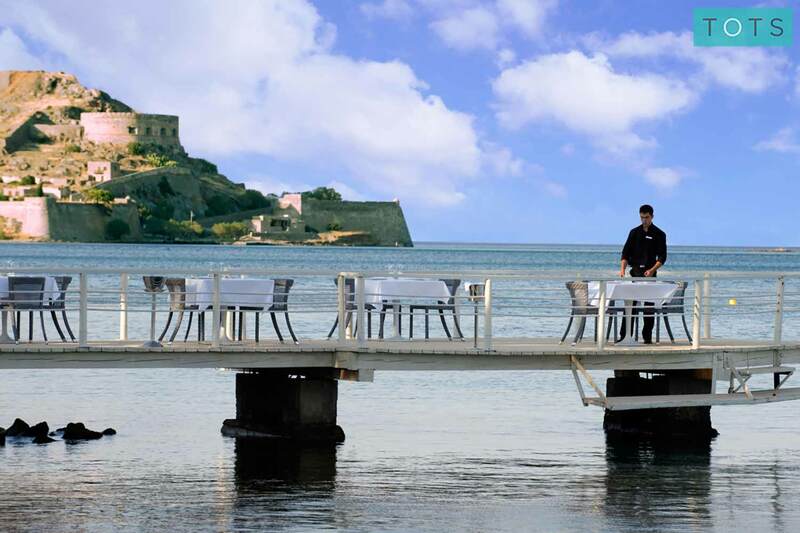 An award-winning seafood restaurant based right on the seafront, with a stunning pier and views of Spinalonga. This excellent Asian restaurant has beautiful views and exotic flavours to enjoy. 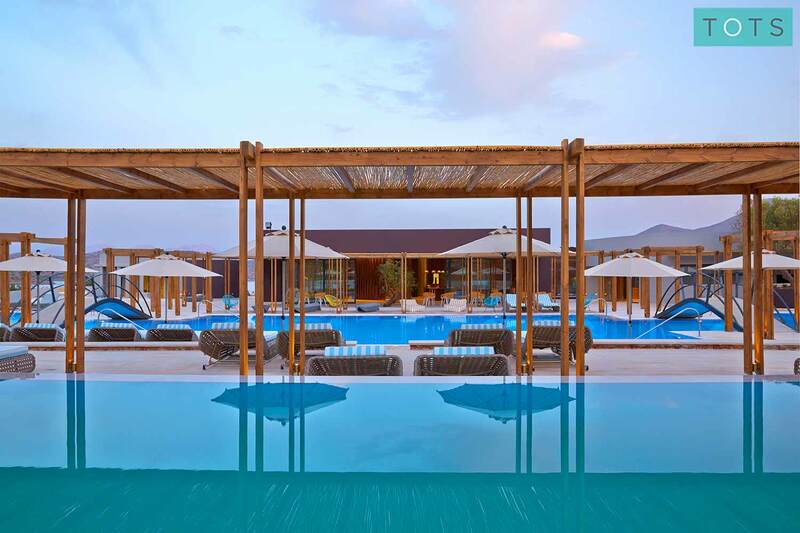 The resort has four excellent bars to keep you refreshed during your getaway including the Spina Bar, Grand Domes Bar, Yaosai Pool Bar and Plaza Pool Bar. 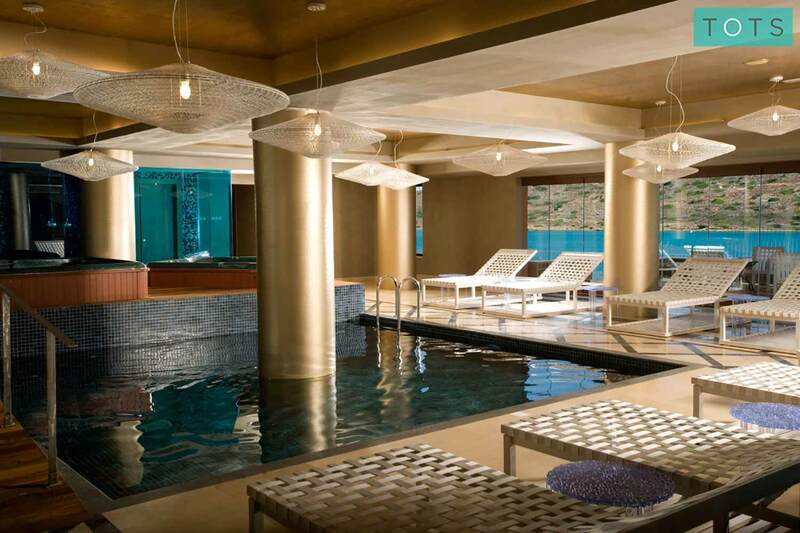 There are plenty of excellent activities to enjoy during your stay here; choose to take it easy on the beach, in the great selection of pools or at the spa. If you’d rather get active, take part in some sports or unleash your family’s inner explorers by enjoying the many island activities offered by the resort. Complete with beach toys, shady olive trees and a separate family area, the private sandy resort beach with its calm shallow waters is perfect for families. In addition to the shaded children’s pool, there is one large outdoor pool and a heated family freshwater pool surrounded by lots of sun loungers and large squishy beanbags to relax on. The resort offers a huge selection of watersports, suitable for kids and adults alike, plus a range of other activities including sailing trips, crafts, aqua yoga, cinema nights, cooking classes and more. Get out and about by renting bikes from the resort, which also offers special family biking excursions such as a family ‘Mountain biking getaway’. 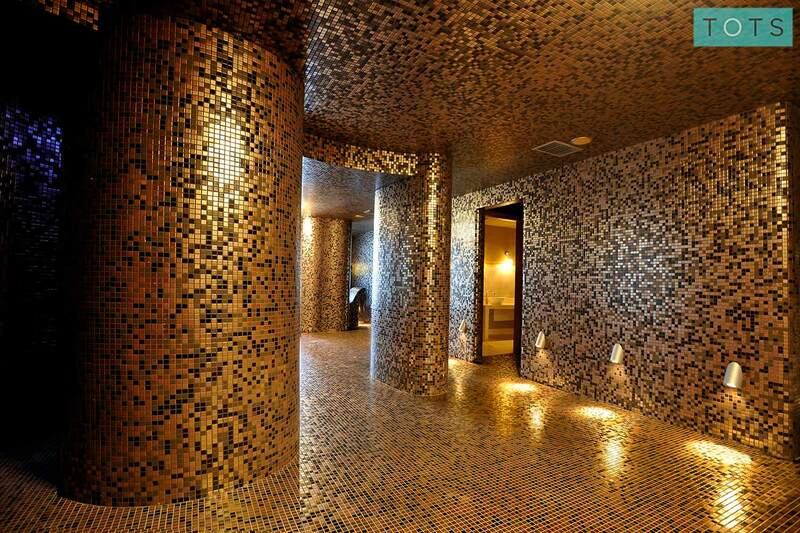 The Soma Spa offers adult and junior treatments, a sauna, indoor heated pool, beauty salon, hammam, treatment room and fitness centre. If you fancy a game of tennis, head to the resort’s own courts or you can even organise tennis lessons for your little one. A brand new activity zone is being created for 2019. The huge multi-functional space will include pop up shops and restaurants,an open air theatre and an eco-playground. 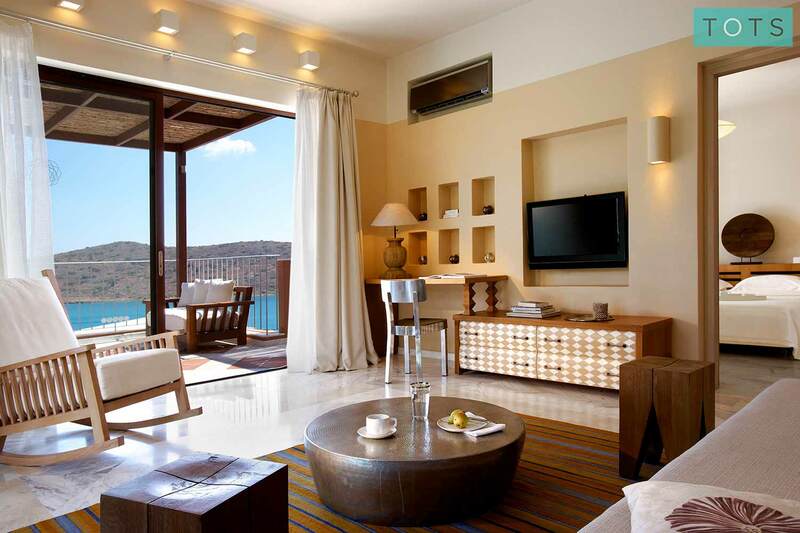 Selected by us for family friendly suitability and equipped with our unique Essential Kit, the fabulously luxurious accommodation options at Domes of Elounda provide everything families could want. All with private outdoor spaces to enjoy and including special family perks, we have a variety of room options to suit a wide range of family requirements. 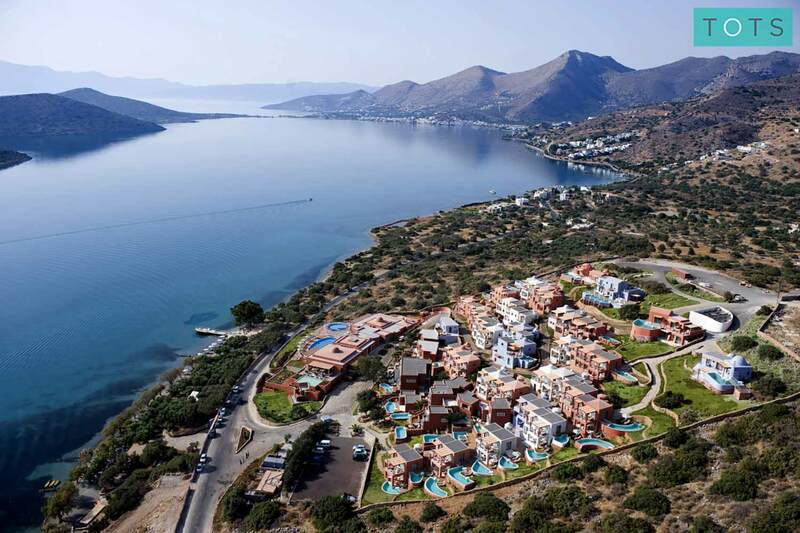 Explore the beautiful Greek island of Crete - take a boat trip to the incredible fortress island of Spinalonga, stroll around the local villages of Plaka or Elounda, or visit the popular tourist town of Agios Nikolaos.